You shouldn’t have to sacrifice your quality of life because of tooth loss. Dr. Cofer understands the many challenges that tooth loss patients must overcome. That’s why he’s committed to empowering tooth loss patients with high quality and reliable tooth replacement solutions. At Premier Family Dental, we offer modern dentures with the improved form and fit you deserve. If you’ve lost several or all of your natural teeth from gum disease, tooth decay, or injury, we have the replacement solutions you need to fully restore your appearance and your oral health. 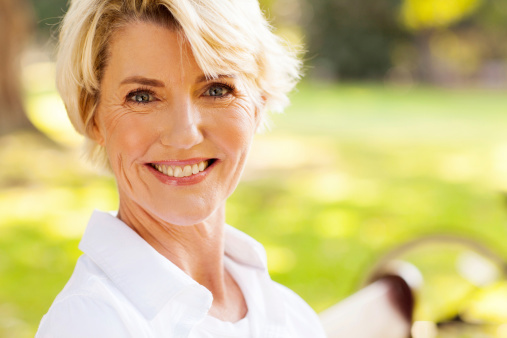 Modern dentures can make it easier to eat and speak and help fill out your facial contours and profile. They can be made to closely resemble your natural teeth and may even improve the look of your smile. If you’re ready to tackle tooth loss for good, schedule a customized dentures consultation appointment with Dr. Cofer at Premier Family Dental today. Dr. Cofer is an experienced and trusted Waco restorative dentist, now delivering quality care daily throughout Waco, TX, Robinson, Lorena, and the surrounding communities. With full dentures, a flesh-colored acrylic base fits over your gums. The base of the upper denture covers the roof of your mouth, and the lower denture is shaped like a horseshoe to accommodate your tongue. Partial dentures actually rest on a metal framework that attaches to your natural remaining teeth. Sometimes crowns can be placed on some of your natural teeth to serve as anchors for the partial denture. Partial dentures are the removable alternative to dental bridges. Implant retained dentures are secured by permanent dental implants. Dental implants are fixed in the jawbone and offer enhanced stability and retention for anchoring a removable denture. Your dentures will stay firmly in place while eating and speaking, but can be easily removed for cleaning. Whether you need dentures for the first time, or you need to replace your old dentures, Dr. Cofer can help. Schedule your personalized dentures consultation appointment with Dr. Cofer at Premier Family Dental today. Premier Family Dental is trusted by families daily throughout Waco, TX, Robinson, Lorena, and the neighboring areas.